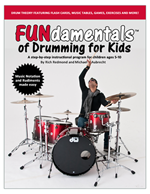 PRESS RELEASE, October 2013: Rich Redmond and Michael Aubrecht are proud to announce that they have signed with Modern Drummer Publications Inc. to produce and distribute their instructional program FUNdamentalsTM of Drumming for Kids. The FUNdamentalsTM program will be released as a printed book/DVD package (shot on location at the Drum Channel studios), as well as an eBook version that will link to video content via the web. There will be a special FUNdamentalsTM webpage located on the Modern Drummer website with updated/bonus material. A unique kid’s clinic is also in the works. Both authors are longtime readers of Modern Drummer magazine and were ecstatic with MD’s interest and enthusiasm for the book. Release info will be forthcoming. “We could not have asked for a better publisher for this project,” said Aubrecht. 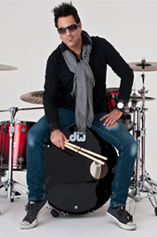 “I’ve been reading Modern Drummer since I was twelve years old and to be counted among their catalog with other drummers like Joe Morello, John Riley, and Bill Bachman is an honor to say the least.” Rich Redmond is a contributing guest writer at Modern Drummer and echoes his co-author’s gratitude. 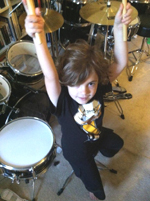 “Michael and I are beyond excited to be working with Modern Drummer,” says Redmond. “MD goes beyond the definition of a mere magazine which usually gets tossed aside. Readers of MD cherish every issue like a collector’s item. Growing up in the farthest reaches of Texas, MD was my lifeline. 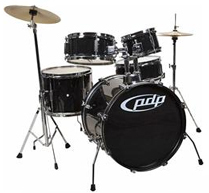 It focused me towards my dream of becoming a professional drummer. 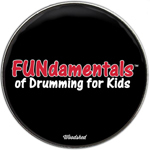 With the help of MD, Michael and I can now reach a whole new generation of young drummers with our FUNdamentalsTM program!” For periodic updates on the release of this program, visit the FUNdamentals Facebook page at www.facebook.com/FUNdamentalsOfDrumming and Modern Drummer’s website at www.moderndrummer.com.